Great post! This is David Rothschild of Microsoft Research. The main difference between the prediction market/user generated averages and the final probabilities is my correction for the favorite-longshot bias. 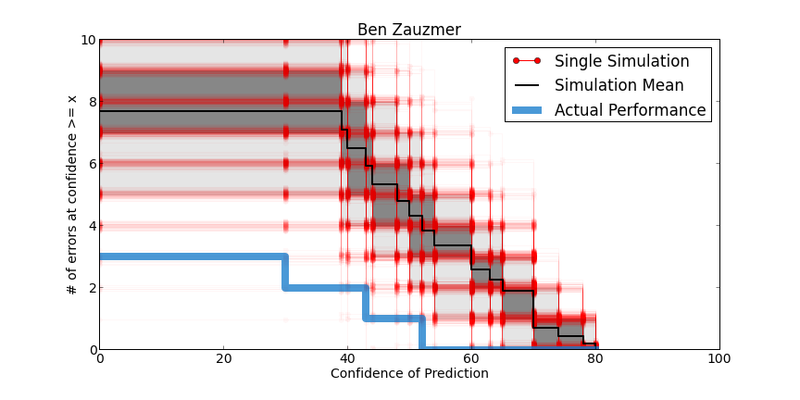 You can see the explanations in this paper: http://researchdmr.com/RothschildPOQ2009 … There is a massive historical record of underconfidence in prediction market prices (becuase of transaction costs, liquidity costs, and risk-loving utility) and this is a correction that I pulled from earlier studies and then confirmed in this and subsequent academic papers on the topic. Not having a massive amount of domain specific knowledge in the Oscars, my gut was a little concerned about how confident the data/models made my predictions. 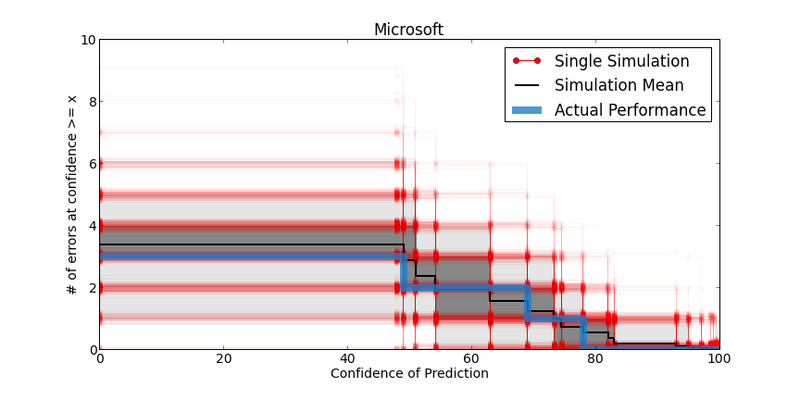 But, as always, trusting data/models beat my gut! I look forward to seeing how we both do next year! Thanks for chiming in, David. 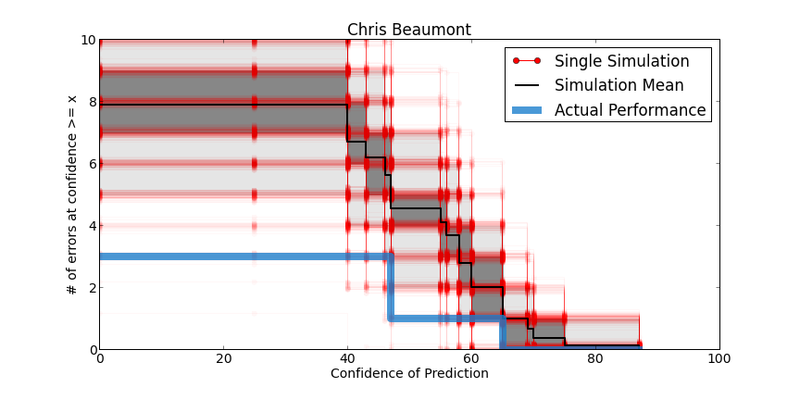 I’ll definitely be paying more attention to PredictWise in the coming months :). Out of curiosity, have you checked the calibration of any of your early oscar predictions (my understanding is they evolved in real-time)? Have a quick, naive question for you. In a previous post, you talked about using logistic regression for your model. Is the independence of observations assumption violated here? For instance, if Movie A wins the Oscar in a given year, then movies B,C, etc. cannot win, which seems to violate the assumption. Is there something I’m missing? Thanks. You aren’t missing anything, and your point hits on an awkward aspect of logistic regression in this context. One way I dealt with it was to re-normalize the raw logistic model probabilities, so that the sum of the probability in each group of nominees was unity (in other words, if a category had 2 nominees with raw probabilities at 95% each, they would be re-normalized to 50% each). Another modification would be to treat each category as a single event (instead of 1 success event and N-1 failure events for a category with N nominees) when computing likelihoods during model fitting. I didn’t make this modification, but it might help out with the calibration problem (it would definitely nudge things towards higher confidence).